‘MOTHER EARTH’ DAY - By a unanimous vote, the United Nations declared April 23 should be celebrated as International Mother Earth Day. The votes were cast by the 192 nations represented at the UN General Assembly on April 22, 2009. Someone might ask: Is the U.N. - an organ of the bourgeois-Masonry - going green? It is actually becoming tri-color, I would respond. It is taking on green tones in its new ecological appearance, red in its new communist demands, and saffron in its new Buddhist philosophy. Let me analyze what happened at that meeting. “To live in harmony with nature”, he continued, “we should acknowledge that human beings are not the only ones who have rights, but the planet, animals, plants and other living beings also have rights that we should respect” (Adista, May 23, 2009, p.13). You may laugh at Mr. Morales’ philosophical slip affirming that the planet has a life. Anyone who had studied basic biology knows that the earth or a planet is inanimate, and, therefore, does not have life in itself. Some may simply dismiss Morales as an ignorant Indian. I would be a little more cautious. We will see that others - more educated than Mr. Morales - expounded similar theories based on presuppositions that admit an immanent life even to minerals. Then Morales started to speak about “Mother Earth” as if it were a person: “The U.N. has the duty to make people respect the rights of Mother Earth … Our 192 governments face the challenge of making a Universal Declaration of the Rights of Mother Earth” (ibid). The earth itself as an entity has the “right” to live in harmony with all the species that exist on it. 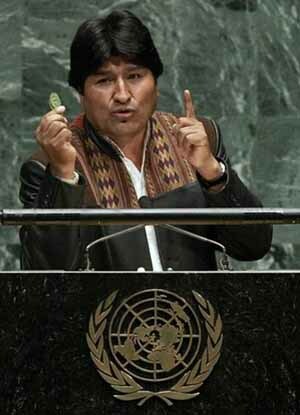 Morales ended his proposal with a communist tirade: “Until now, we human beings have been prisoners of the forces of Capitalism, which considers man as the paradigm of the planet. The hour has come to acknowledge that the Earth does not belong to us; rather we belong to it. Our duty is to safeguard the rights not only of the human beings, but also of Mother Earth and all living beings” (ibid). Translating this into social-political language, it means that the UN should implicitly declare itself the proprietor of every single natural resource on earth, over and beyond any individual or national right. In this way it can administer justice to “Mother Earth” and all living creatures, including inanimate beings. Once this power is conferred to the UN, the next step is to institute an international court to judge “crimes” against ecology, and to establish an international militia for enforcing its decisions. Another possibility - more in keeping with what we know about Morales’ methods - would be to establish “committees of public safety” to keep watch over the “capitalists” who are spoiling the earth, water, air, etc., accuse and judge them for their “crimes” against “Mother Earth,” and apply the sentences. I cannot imagine any platform that better facilitates and fosters the ideals of Communism. The president of the UN General Assembly is none other than Fr. Miguel d’Escoto, an ex-guerilla Maryknoll priest who, through a coup, became Nicaragua’s foreign minister and now leads the United Nations. “Proper administration of our limited resources is a shared responsibility. … Our decision [to declare an International Mother Earth Day] is a symbolic step toward changing the dominant mentality, which has led us almost to the point of self-destruction” (Adista, May 23, 2009, pp. 13-14). I believe that the message could not be clearer: Out with Capitalism! Forward march to a red Communism disguised as green. Present at that UN session was also Brazilian guest speaker Fr. Leonardo Boff, one of the stars of Liberation Theology. He presented some ideas “to justify” that the earth has a spirit. Many religions, he said, considered earth as a universal mother. It was only in the 16th century, he pretends, that the earth began to be considered as an entity without a spirit, as an untamed nature to be conquered by man. This conception is responsible for the disproportionate distribution of the earth’s resources, he affirmed. It caused “an archipelago of wealth in an ocean of misery. … An insignificant minority monopolizes consumerism and controls the economic processes that cause the devastation of nature and great social injustice” (Adista, May 23, 2009, p. 15). In short, Boff’s fundamental message is: We must have a system different from Capitalism, one that equally divides property and benefits under the pretext of preserving nature and promoting social justice. I recognize this kind of talk. It is the old Liberation Theology platform now appearing in a green costume. 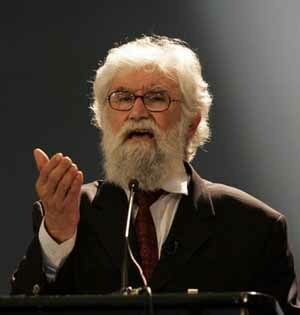 Leonardo Boff, a known Marxist priest, subversive agent, promoter of class struggle and advocate of Liberation Theologian. What more is needed to convince the naïve that the ecological agenda greatly favors Communism? Are green and red the only colors of the ecological revolution? I believe that saffron should be added to the spectrum. 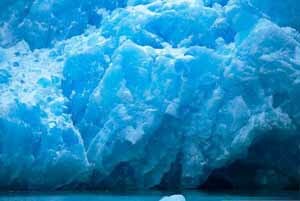 Indeed, anyone who considers that the earth or a river or glacier has its own soul and is deserving of rights is professing philosophical immanentism. That is, he supposes that some part of a divinity would be immanent to these inanimate things, giving them life and making them worthy of the compassion and sentiments we have for personal beings. We are witnessing the return of the old Pantheism or Gnosis that led paganism astray and is still present in Buddhism and other false religions. It is contrary to Catholic doctrine and condemned by it.